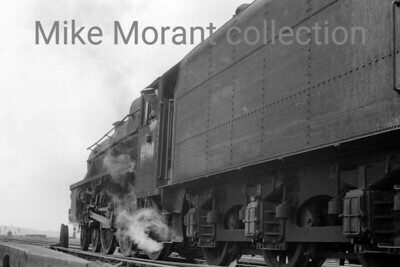 A powerful shot of an unidentified Stanier 'Black 5' 4-6-0 with a number that appears to read 451x0. 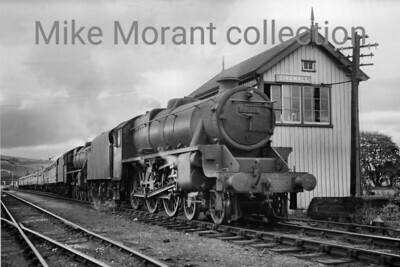 This picture of LMSR Stanier 'Black 5' no. 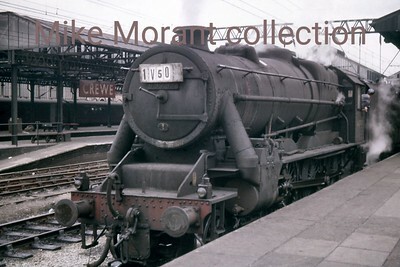 5018 is a superb portrait taken at Carlisle but the markings on the locomotive are something of a mystery. 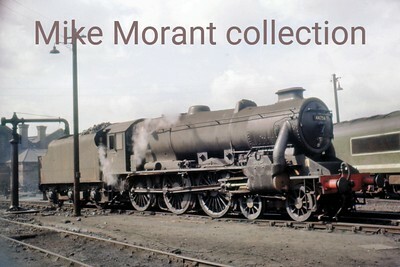 The smokebox door's number plate states that the number is 5018 but the cabside number is M5018 whilst the tender is bedecked with BRITISH RAILWAYS in full. 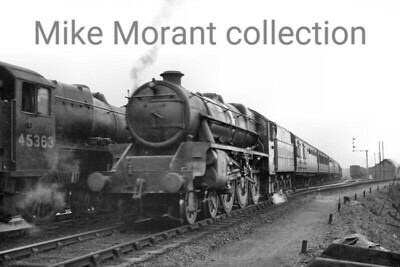 My database tells me that its BR number, 45018, was applied in March 1950. Perhaps all that can be explained by an afianado of that sort of thing. 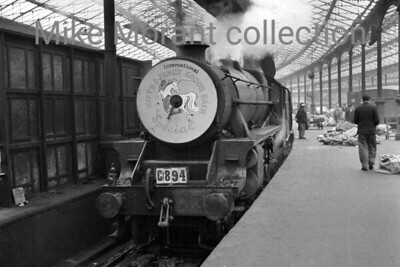 The shed plate isn't quite legible but it is almost certainly 28A (Motherwell) which is where 5018 was allocated to between October 1947 and December 1949. 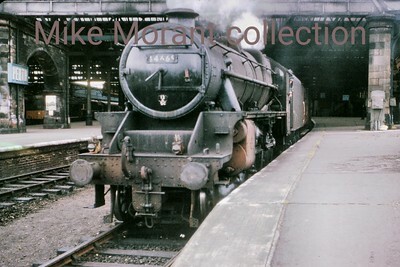 Stanier Black '5' 4-6-0 44669 in fast disappearing light at Perth station in July 1964. 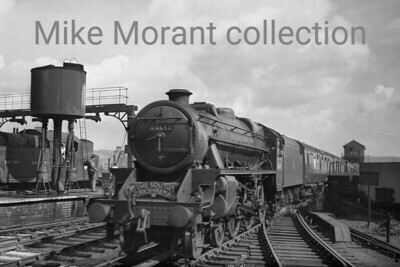 The southbound South Yorkshiremans arriving at Huddersfield in the charge of Stanier 'Black 5' no. 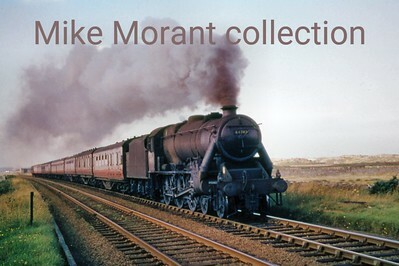 44693. The signal box was mounted on a gantry on top of the viaduct whilst the line to the right led to the turntable. 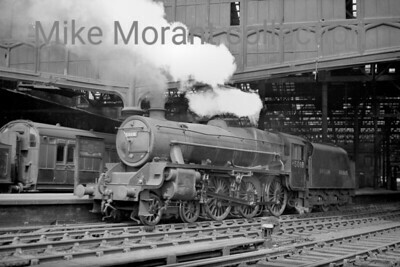 Strictly speaking this isn't entirely an LMSR Stanier locomtove as it's a BR design emanating from Crewe Works in July 1948 and had a working life of only 15 years being withdrawn from service at 9A Longsight (Manchester) which was the home shed of Caprotti geared Black '5' 44747 when smapped at Crewe station on July 24th, 1961. 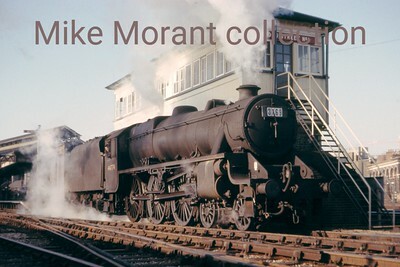 Stanier Black '5' 4-6-0 No. 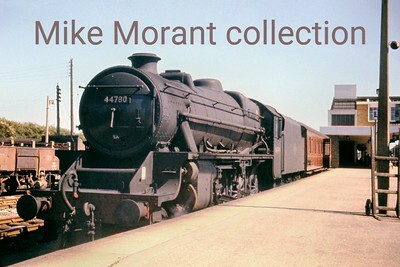 44774 draws past the magnificent No. 1 signal box at Broad Street station having brought in the empty stock for the 'Wandering 1500' railtour on 15/10/63. Broad Street station, for the benefit of younger viewers, was a large terminus station with considerable goods facilities right next to Liverpool Street station in the heart of London which was closed in 1986, demolished and replaced with a large glass box. The station originated with the North London Railway and was subsequently taken over by the LNWR. What isn't generally recalled is that it was an overspill facility for its next door neighbour the GER. 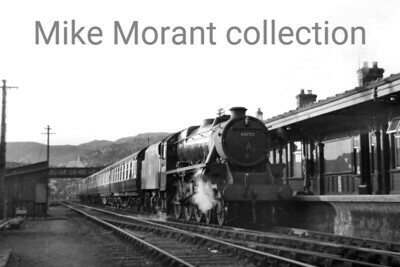 My memory of it during brief visits during the 1950's was that nothing happened there outside the peak hours and just about the only activity was a magnificent cased model of an NLR 4-4-0T the wheels of which turned on inserton of a penny in the slot provided. 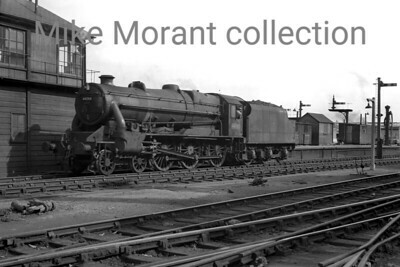 An unidentified Stanier 5MT 4-6-0 in charge of a fitted freight breasts Shap summit.